Exhibition Will Be June 27-Oct 12, 2019 at the Albany Museum of Art [For Release March 6, 2019 – Albany, GA] ─ The Albany Museum of Art is inviting college faculty to participate in Educators as Artists: Juried College Faculty Exhibition, which will open June 27 and continue through Oct 12, 2019 in the AMA’s East Gallery. 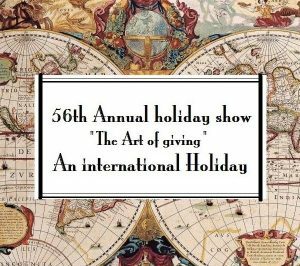 The all-media exhibition will be juried by Hannah Israel, professor of art and the gallery director at Columbus State University in Columbus, Ga. Faculty members at Albany State University, Albany Technical College, Georgia Southwestern State University, Valdosta State University, Florida State University, Abraham Baldwin Agricultural College, Andrew College and Thomas College are invited to enter. All media will be accepted and accepted submissions may be viewed online once the exhibition opens. College faculty members may submit up to two digital images of works for consideration. 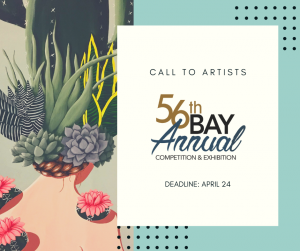 Submissions must be received at entries@albanymuseum.com by 5 pm on May 24, 2019. The juror will be Israel, who received her Master of Fine Arts in Sculpture from the University of Illinois in Urbana-Champaign. Her work encompasses various interests, including sculpture, installation, video and mark-making. She has exhibited her work at the High Museum of Art in Atlanta; the Zuckerman Museum of Art in Kennesaw, Ga.; The Vargas Museum of Art in the Philippines; the Museum of Contemporary Art in Honolulu; I-Space in Chicago, and the Krannert Art Museum in Champaign, Ill. Israel has received the Daedalus Art Grant (New York City), the Creative and Performance Art Fellowship at the University of Illinois Champaign-Urbana, Ill., and the Artist Fellowship at Cornell University, N.Y., and the Banff Center scholarship, Canada. She has also curated numerous solo and group exhibitions. This year, Israel’s work will be featured in a group exhibition, Highlighting Contemporary Art in Georgia: Cut & Paste, Works of Paper, which will travel to six venues including the Museum of Papermaking in Atlanta, the Lyndon Art Center in Athens, and the Telfair Museum in Savannah. She recently completed a five-week residency program at the Banff Creativity and Innovation Center for the Arts in Canada. Last November, she was awarded the 2019 Blue Heron Nature Preserve Artist in Residence in Atlanta. Israel has collaborated with renowned musician Paul Vallaincourt for the Dias de los Muertos composed by Robert Xavier Rodriguez, for which she directed the video The Shadow to accompany the concert for the Schwob School of Music Percussion Ensemble that was featured at Legacy Hall in Columbus, Ga., and Spivey Hall in Atlanta. She also has collaborated with photographer Sarah Hobbs on A Handful of Dust, a project for Whitespec in Atlanta. This September, she will have a solo exhibition, Imagined Language, at the Kentler International Drawing Space in Brooklyn, N.Y. Here are the guidelines for submissions: – A digital image of the artwork should be submitted to entries@albanymuseum.com by 5 pm on Friday, May 24; – The artist’s name, address, email, name of work(s) submitted, and contact phone number must be included in the email; – Each image must be in JPG format with the title of the work in the JPG name; – Each entry must be for an original work of the artist; – An artist may submit two entries; – There is no entry fee; – Each work exhibited is at the discretion of the AMA; – Entries submitted without complete information may be disqualified – Artists will be notified via email of acceptance by Friday, June 7; – Work selected for the show must be delivered to the AMA by Tuesday, June 18. The Albany Museum of Art, located in Albany, Georgia, adjacent to Albany State University West Campus just off Gillionville Road, has an impressive collection that includes 19th and 20th century American and European art, as well as a substantial collection of sub-Saharan African art including masks, sculpture, pottery, textiles, and musical instruments. 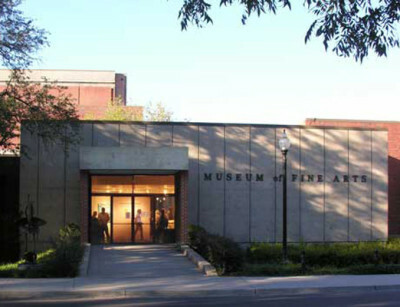 The Albany Museum of Art is accredited by the American Alliance of Museums. The Albany Museum of Art is open 10 am through 5 pm Tuesday through Friday and noon until 5 pm on Saturday. Admission is free. For more information about the AMA please visit our website, www.albanymuseum.com or call 229.439.8400. CURRENT AMA EXHIBITIONS – Memory and Meaning, works by Masud Olufani, is in the Haley Gallery through June 15, 2019; – Stack: Lego Works by Mike Landers is in the East Gallery through March 30, 2019; – Ghost Yonder Moonscape, works by Zipporah Thompson opens March 7 in the West Gallery and continues through June 15, 2019. ABOUT THE ALBANY MUSEUM OF ART The Albany Museum of Art, located in Albany, Georgia, adjacent to Albany State University West Campus just off Gillionville Road is accredited by the American Alliance of Museums. The Albany Museum of Art is open 10 am through 5 pm Tuesdays through Fridays and noon until 5 pm on Saturdays. Admission is free. For more information about the AMA please visit our website, www.albanymuseum.com or call 229.439.8400. Submission Guidelines Lunch Ticket is the online literary and art journal published by the MFA community of Antioch University (AU), a program devoted to the education of literary artists, community engagement, and the pursuit of social, economic, and environmental justice. The editors of Lunch Ticket share AU’s mission and values. 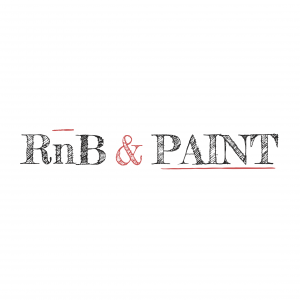 With a commitment to publishing the best literary writing and visual art, we encourage submissions from underrepresented and marginalized artists and writers. Our Projects Main Issues are published in June and December, with reading periods from February 1 to April 30 and August 1 to October 31. We are proud to host two prizes in each of our main issues: the Diana Woods Memorial Award in Creative Nonfiction and The Gabo Prize for Literature in Translation & Multilingual Texts. Both prizes are open for submissions in February and August. Our Amuse-Bouche: Spotlight series is published every other Monday throughout the year, showcasing an individual writer or artist. We review literary submissions in all genres duringJanuary and July; the submission period for art is now open year-round and is selected from submissions to the Visual Art category.Learn more about our curated occasional Amuse-Bouche series, including Writers Read, À La Carte, and Litdish on our “About” page. Our Genres Lunch Ticket and our Amuse-Bouche: Spotlight both publish: Creative Nonfiction (and the Diana Woods Memorial Award) Fiction Flash Prose (any genre) Literary Translation (and The Gabo Prize for Literature in Translation & Multilingual Texts) Poetry Visual Art (painting, drawing, photography, printmaking, sculpture, installation, mixed-media, graphic narratives, and other 2D work) Writing for Young People (13+) We welcome multilingual submissions in all genres. Our submissions are always free. For an understanding of our editorial process, please read our Editorial Statement on our “About” page. There, you’ll also find information about the other projects Lunch Ticket is engaged in. Please read the genre-specific guidelines before submitting to Lunch Ticket. Submissions that do not adhere to our guidelines will be automatically rejected without being read. 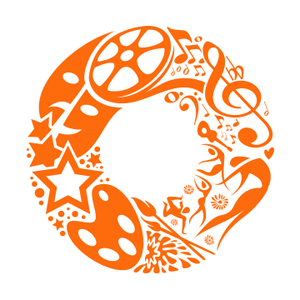 If the genre-specific guidelines are not visible when you head to Submittable by clicking the “Submit to Lunch Ticket” button below, we are not currently reviewing submissions. If accepted for publication, Lunch Ticket retains the first North American serial rights of the work to publish, produce, reproduce, distribute, and market. All other remaining rights revert to the author upon publication. If the work is published again, we ask for a credit line to indicate that the work first appeared in Lunch Ticket. We encourage submissions from AU’s MFA alumni for our main issues and for Amuse-Bouche: Spotlight; however, graduates must have completed the program at least two years prior to submitting for publication in Lunch Ticket. Please see our “About” page for further opportunities for students and recent graduates. We do not accept submissions from the AULA MFA program’s faculty or staff for publication in any section of the journal. Literary Translation note: Please refer to standard Lunch Ticket guidelines for either poetry or prose. Your submission should include the original work along with your translation. We also require a statement that grants us permission to publish both the original work and the translation online, and that certifies that you have received permission from the original rights holder (either the publisher or the author, as applicable) to grant us such rights. Thank you for giving us the opportunity to view your work. 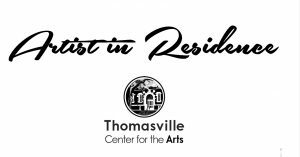 The Artist in Residence program at Thomasville Center for the Arts Downtown brings a fresh art perspective to our region, which elevates talent and sparks creative conversations within our community. This is a teaching residency, where resident artists receive studio space at our downtown location, and partake in a variety of teaching opportunities, encouraging collaboration, sharing, and exhibiting with local makers and regional artists. 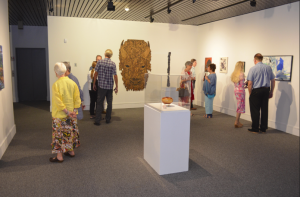 Artists will develop a new body of work during their choice of a 2 or 4 month stay at Thomasville Center for the Arts, and are given around the clock access to their studios. Visual Artists of all mediums are welcome. 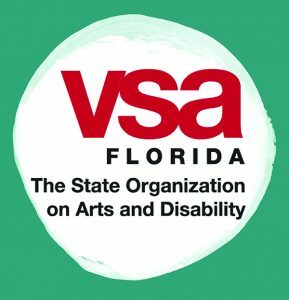 How to Apply: Email Sarah Painter at spainter@thomasvillearts.org with your resume, including professional references, your artist bio/statement, artistic/teaching experience, link to your website/social media, and images of your work. Cover letters and letters of recommendation are encouraged. Please note this is a teaching residency, in your email list any of our currently offered classes you would be interested in teaching, or an outline of a new class, workshop, or intensive that you would like to teach. Costumer for Summer Production of "Mamma Mia"
Adolph Gottlieb, one of the artists known for initiating the Abstract Expressionism movement, achieved artistic and financial success far beyond his early expectations. But, he had several colleagues who, despite their artistic achievements, were not able to support themselves financially. 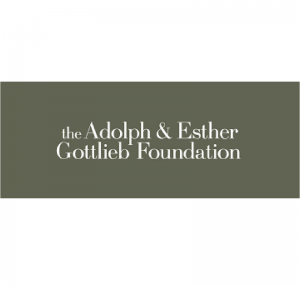 The Gottlieb Foundation wishes to encourage artists who have dedicated their lives to developing their art, regardless of their level of commercial success. 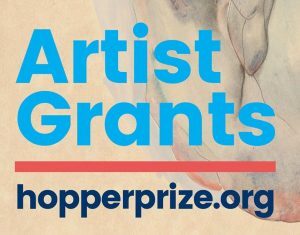 WHO: Artists who have been working for at least 20 years in a mature phase of your work, and can demonstrate a need for financial assistance. 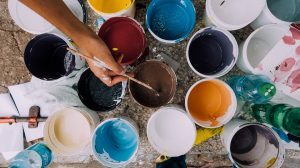 FIELD: Painting, printmaking, or sculpting. AMOUNT: $25,000 DEADLINE: The 2018 Individual Support application was due by December 15, 2017. Stay tuned for the 2019 cycle application deadline later this year. FINE PRINT: Maturity is based on a high level of intellectual, technical, and creative proficiency that has been maintained over time. It is based less on an applicant’s age than on the development of and commitment to an artist’s work that has progressed over time. Detailed FAQ here.